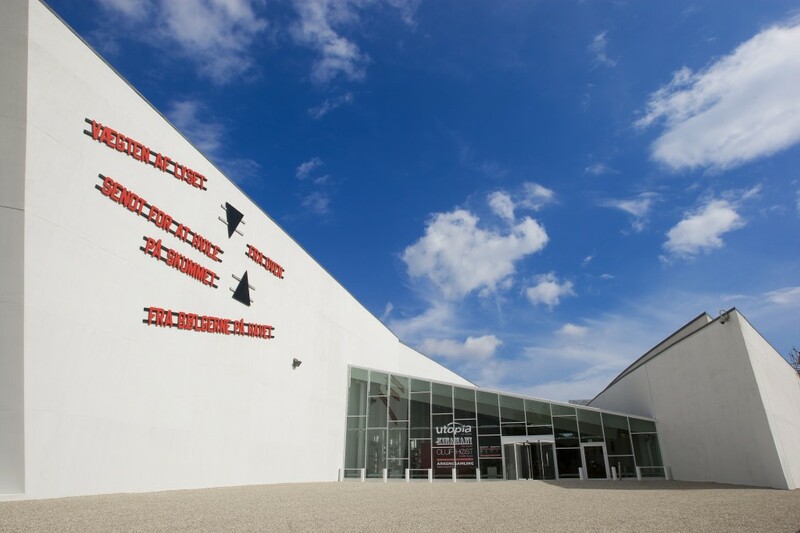 Located in the southern suburbs of the Danish capital, the Arken Museum has come a long way since its opening in 1996. From the beginning the museum had the intention to add some cultural flair to the culturally diverse and rapidly expanding southern suburbs of Copenhagen. Arken is situated in Ishøj Strandpark, some twenty kilometres south of the capital’s centre. In many ways this short distance takes the visitor to a totally different kind of Copenhagen. Thus, the role the museum has played in the development of the city should not to be underestimated. Already from the beginning Arken’s founders were convinced about the ambition needed to be an established institution with a worldwide name. Arken soon turned out to be one of the biggest cultural investments in Denmark in the second half of the 20th century. It was clear from the beginning, that being bold with decisions was not an obstacle. The museum building’s architect was still a student, when the decision was made to go for his design. That takes quite some guts to go with an unproven talent’s ideas, we would say. Søren Robert Lund‘s museum building is a deconstructivist creation, both bold and unique. It simply makes a perfect fit to the surrounding seaside area. From the outset the ambition was to put together an internationally reputable collection. Once the project took off, it seems to just carry on with an active acquisition policy. As per the museum’s own ambition the visual impression of the collection should be “an aesthetic, emotional and intellectual challenge”. At present the Arken Collection consists of more than 400 works of art, primarily representing contemporary art as from 1990. A big part of the collection is reserved for Danish artists, but even Nordic and especially international art takes up an ever bigger role. You will find among others works by Ai Weiwei, Olafur Eliasson and Elmgreen & Dragset. 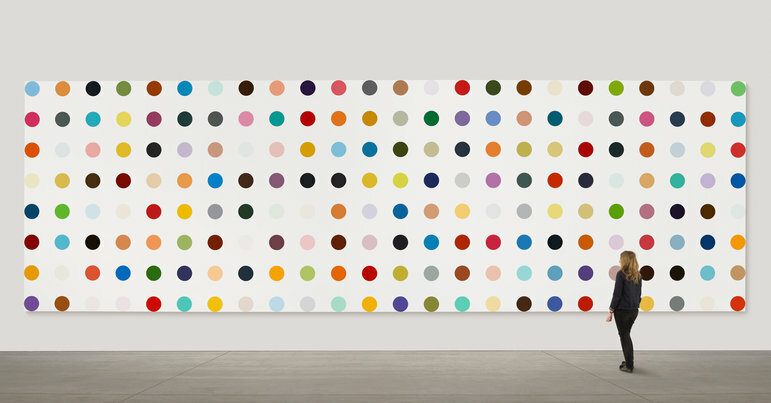 One of the most important part of it all is the Damien Hirst collection the museum proudly keeps. Hirst (born 1965) is, naturally, easily to be considered as one of the biggest names in the contemporary art scene of the last decades. 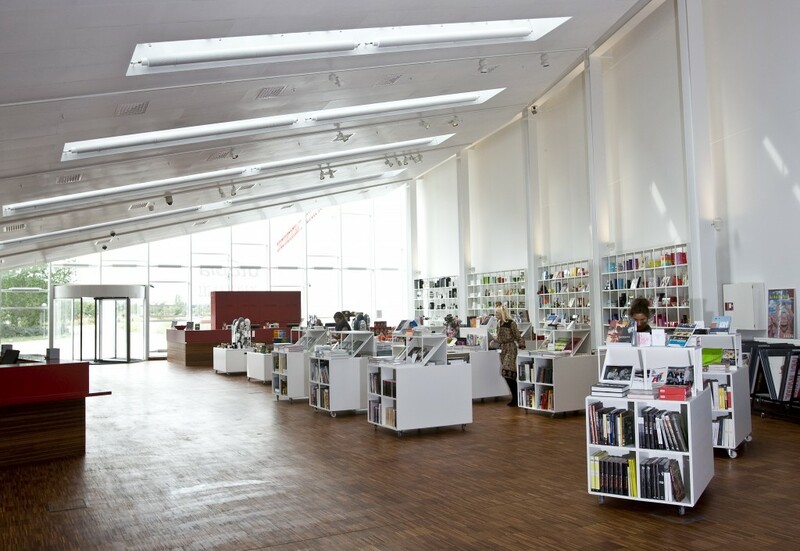 As recently as 2011 the museum received a large donation from the London-based ‘Merla Art Foundation‘, founded by the Danish couple Dennis and Jytte Merla Dresing. The donation consisted of eight works of Damien Hirst. The museum already owned a handful of the artist’s paintings and with the new additions suddenly the museum has one of the best Hirst collections in the world. At Arken you can check out among others Hirst’s ‘The Four Elements (Who’s Afraid of Red, Yellow, Green and Blue)’and his biggest ‘spot painting’ (at least until now): ‘2-Amino-5-Bromobenzotrifluoride‘, measuring in at a length of more than 14 metres and 4.5 metres in height. Apart from the impressive collection of contemporary art the museum continuously organizes temporary exhibitions of well-known artists. Think of Hundertwasser, Frida Kahlo and many more. Check the exhibition agenda to see what is going on right now at the museum. An interesting aspect of Arken is the way it surprises the visitors and makes a visit to all age groups memorable. The museum puts special emphasis on making the visit for families special and they create a great interest for children and their parents, to the extent that the young ones barely want to leave the place. Given its seaside location, right next to Copenhagen’s most popular beach, Arken is also a popular day-trip destination in summertime. The big park outside is a very popular picnic spot. If you visit the museum, make sure to reserve some time to wander around the area as well. It’s not an every-day opportunity to visit the beach for city-dwellers like us! The Arken museum and surroundings sounds like a great way of spending a day. Are you convinced yet? From Copenhagen central getting to Arken by public transport is easy. Just hop on the S-Train to Ishoj from Copenhagen Central Station. In Ishoj take bus number 128 and get out at the Arken bus stop, just in front of the museum. Alternatively, you can walk there from Ishoj station to the museum, which should take you some 20-25 minutes. Use the Resjeplanen website to plan your trip from door to door. If you optimize your trip, it should not take you more than 35 minutes.